Art by David Wynne. Buy prints at Redbubble, or contact David to purchase the original! In which Elisabeth plans for her reign as Omniversal Majestrix; Hulks and moons are two great tastes that go great together; Nightcrawler takes the lead; Alastair gets a new gadget; it’s just not a cosmic event without Alan Davis; Mastermind is still the absolute worst; Excalibur fixes problems by playing dress-up; Moira MacTaggert desperately needs to hire some staff; and Jamie Braddock is legitimately terrifying. NEXT EPISODE: Rictor has issues! You can find a visual companion to this episode on the blog! METOXO the lava man, as teased in X-Men #48–but never revealed! Beast and Iceman teach METOXO the true meaning of Christmas in the 1994 Marvel Holiday Special. The Coffee-a-Go-Go made its debut in X-Men #7, along with regular Bernard the Poet and acerbic waitress Zelda. There are a lot of Coffee-a-Go-Go stories, but Bobby’s 18th birthday, from X-Men #32, is probably the best. …and Busiek’s homage in the 1994 Marvel Holiday Special. 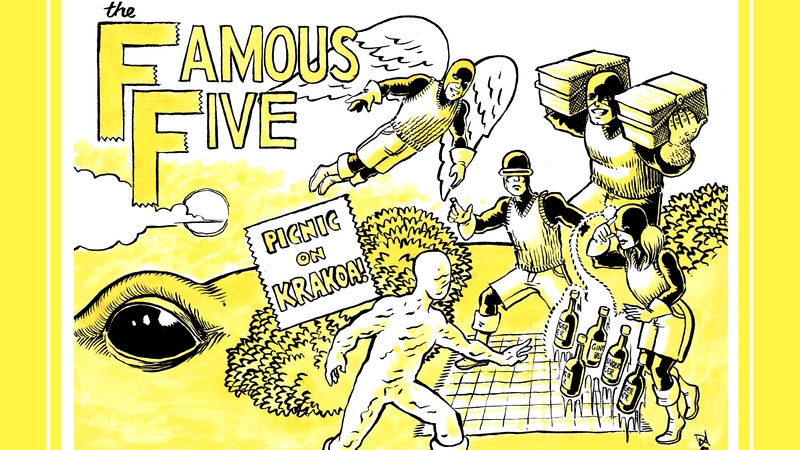 We’ll be giving it its own post on Monday, but David Wynne’s art of the original X-Men as Enid Blyton’s Famous Five goes way too well with this episode. Next Episode: Fast-forwarding to 1994 for the wedding of Scott Summers and Jean Grey. 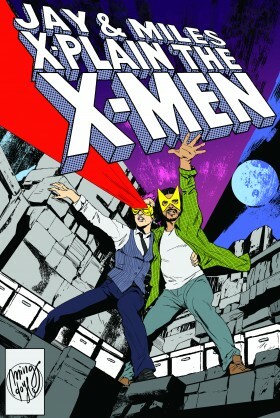 In which special guest Kurt Busiek is the J. Robert Oppenheimer of X-Men, Rachel and Miles learn to love the Silver Age, Cyclops gets a job, Bernard the Poet falls from grace, we really wish X-Men: The Secret Years was a real book, everyone recites poetry, and we still don’t get around to Marvels. Why the X-Men are terrible mutant P.R. An X-Men series that might have been. Next week: The wedding of Scott Summers and Jean Grey!